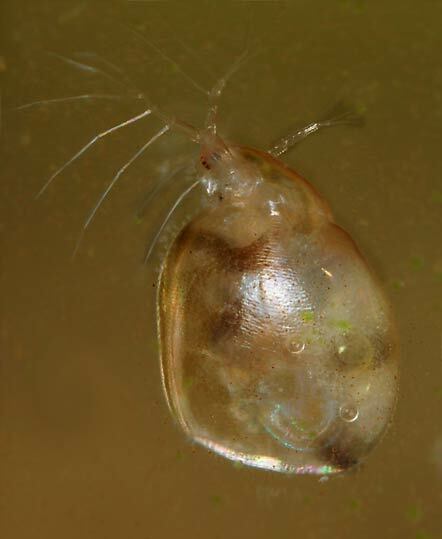 These bulgy water fleas came from my garden pond and are very common in most of Europe. They swim different from daphnides: by disturbance of a bundle of thread algae they shoot out of that, swim fast, not hopping, with their backs down to all directions and hang themselves on a water plant or an other solid thing with a simple, but efficient hook on the antennae. The shell is transparent with horizontal grooves, the constant moving of the phyllopods was easily visible on this leisurely hanging big one.